Filmed in Autumn 2015, experience the three unique lighthouses of Hants County, located along the Bay of Fundy, Nova Scotia. Filmed on a very cold January morning - and on location with two King's College journalism students - re-experience this amazing lighthouse in the Halifax Regional Municipality, along the Eastern Shore of Nova Scotia. Low Point Lighthouse, located in New Victoria (near New Waterford), is a historic Canadian lighthouse marking the entrance to Sydney Harbour. Lit in 1832, it is one of the earliest & most important light stations of Nova Scotia... but its end may be near. Featured on CBC News Now with Heather Hiscox (broadcasted Nov. 4, 2015), CBC News: Nova Scotia at 6:00 (broadcasted Oct. 30, 2015), the Q104 FM Radio Halifax Facebook page, and the Nova Scotia Tourism Facebook & Twitter pages. Experience the amazing, breathtaking, one-of-a-kind Cape Sable, Nova Scotia, Canada, as captured by drone; it's a beautiful, fun and interestingly different perspective of this Canadian East Coast landmark. After all, where else do you need to obtain a water taxi to visit an island inhabited by wild sheep, and which also features the province's tallest lighthouse?! Oh, and the residents of the nearest community of Clark Harbour... the most inviting, hospitable, salt-of-the-earth bunch you'll ever encounter! It must be disclosed, however, that there was one very disappointing part of the visit to Cape Sable Island... and that came only when we had to leave. This is a truly a remarkable place... and the "Friends of the Cape Sable Lighthouse" are really setting the bar for what a lighthouse preservation society should be striving to accomplish. Please also check out our other videos, and subscribe to our channel for upcoming features, including drone work in Maui, Florida and our ongoing Nova Scotia lighthouse project. Experience the beautiful and breathtaking Cape Forchu Lighthouse, as well as its cute "little sister", Bunker Island (aka: Bug Light), Yarmouth County, Nova Scotia, Canada, as captured by drone; it's a beautiful, fun and interestingly different perspective of this Canadian East Coast landmark. Filmed at sunrise and on location with television journalist Kelland Sundahl and CTV Atlantic News, experience this immaculately kept pepper-pot style lighthouse along the Eastern Shore of Nova Scotia. Filmed just after sunrise with an old friend and a representative of the Port Bickerton Lighthouse Association, experience this amazingly well-kept area, featuring Port Bickerton's old lighthouse (now an interpretive centre), new lighthouse and lightkeeper's residence. Filmed over two days in Autumn 2015, experience Colchester County's two gorgeous lighthouses: Bass River and Five Islands. Bass River Lighthouse: Built in 1907 on the point at the western side of the entrance to the Bass River, the light was the easternmost beacon on Cobequid Bay in the Bay of Fundy. Deactivated in 1992 and sold in 1994, a single-story dwelling was built onto the base of the lighthouse. Five Islands Lighthouse: Built in 1914, the lighthouse has been moved several times to escape land erosion and as a result of a loan default. It was discontinued by the Coast Guard in 1993. The lighthouse made its final move in late 2008 to a fifteen-acre parcel of land in Colchester County. Subscribe to our channel to get the latest videos posted for our Nova Scotia Lighthouse Project (we're working to capture all 175 of them in the province! ), and check out the other lighthouse and landscape drone videos we currently have airing. Cheers! Filmed in Autumn 2015, experience these two amazing lighthouses located along the Bay of Fundy in Cumberland County, Nova Scotia. Parrsboro Lighthouse: First built in 1852, it withstood a violent storm in November 1873, but finally succumbed to erosion around 1945. It was replaced by a skeletal tower until the present lighthouse was constructed in 1980. Cape Sharp Lighthouse: The first lighthouse at Cape Sharp was constructed in 1886 at the narrowest part of the Minas Basin. The present lighthouse, constructed in 1973, was destaffed in 1988. Filmed on a beautiful day in late January 2016, experience the majestic Chebucto Head Lighthouse, located at Duncans Cove, Halifax Regional Municipality, Nova Scotia. On-location video blog at Chebucto Head, Sambro Harbour, Pennant Harbour and Waverley... providing a brief update on the latest regarding our #NovaScotia #LighthouseProject. Filmed January 28-30, 2016. Filmed in early January 2016, experience the beautiful Coldspring Head Lighthouse, located near Amherst Shore, Cumberland County, Nova Scotia. Filmed on a remarkable, yet eerie, day with high surf and low winds in February 2016, experience both the 1927 lighthouse, and the new lighthouse constructed in 1983, located at Medway Head, near Port Medway, Queens County, Nova Scotia. Filmed on a mild January afternoon - and on location with a Hants Journal newspaper journalist - re-experience this amazing lighthouse in Hants County, along the majestic Bay of Fundy in Nova Scotia. Filmed between Autumn 2015 & Winter 2016 during trips to Cumberland County, experience the landscape and lighthouses at Apple River, Port Greville and Spencer's Island. Filmed on a chilly day in March 2016 for our #NSLighthouseProject, experience the cliffs, rocky terrain, ocean and lighthouse at Cape d'Or, Cumberland County, Nova Scotia, Canada. The majestic Baccaro Point Lighthouse, Shelburne County, Nova Scotia... once you see the footage, you'll know why this beacon so revered by its fantastic preservation group & area residents! The sound quality is horrible. We know. We adjusted it as best we could in post-production. But considering it is just an initial video blog (or vlog) of ours, we've decided to post it. The New Year! A quick update on Larry's hospital stay and the latest about our #NovaScotia #LighthouseProject. Realtime video blog on location at Coldspring Head Lighthouse, Amherst Shore, Nova Scotia, Canada... recorded about 8am or so, January 9, 2016. On-location video blog at Tangier, Spry Bay Lighthouse, Spry Harbour and Musquodoboit Range Rear Light... providing an update on the latest regarding our #NovaScotia #LighthouseProject. Filmed January 23, 2016. The Nō Ka 'Oi Drone Guys are Larry Peyton - a drone hobbyist who produces high quality aerial images - and Cory Webb - a musician who writes original tunes for the videos. They have embarked on a #NovaScotia #LighthouseProject: to capture all 175. The project‘s impetus was sparked while at Larry's daughter’s provincial soccer tournament in Sydney, Cape Breton. 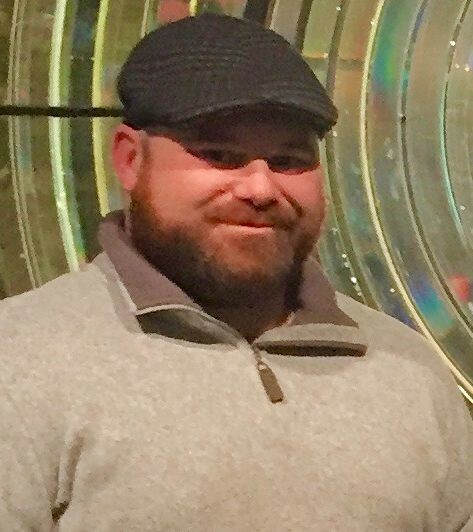 Looking for local landscapes to film with his drone, Larry’s research of the area resulted in him learning of Low Point Lighthouse in New Victoria, which was in close proximity to a scheduled Sunday morning game in New Waterford. While capturing the lighthouse with the drone, two individuals happened upon the area and made their way to the shoreline. At the conclusion of the flight, Larry approached the males to answer any questions or offer any information about the drone and the video capture. As it turned out, the males – a journalist with CBC Radio and a representative of the Low Point Lighthouse Preservation Society – were conducting an interview about how prize money, from the National Trust of Canada’s This Lighthouse Matters competition, would be used at the lighthouse. Having unknowingly interrupted the interview, which was then temporarily terminated, Larry engaged in conversation with both males regarding the lighthouse. During the discussion, it was disclosed that unless the breakwater was repaired, the lighthouse would soon be claimed as another victim of the North Atlantic Ocean. The conversation awakened Larry to the plight of our coastal beacons, which inspired him visit all the lighthouses. The idea was shared with Cory, who immediately embraced it. 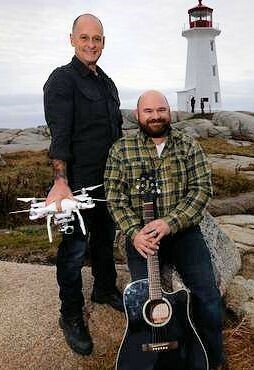 And hence, the birth of the #NovaScotia #LighthouseProject: to obtain video footage, via drone, of every lighthouse in the province and globally share the video production, without compensation, to bring awareness to their condition and help save those lighthouses which can be saved, while obtaining some meaningful videography record of those beacons emitting their last gasps. In essence, their hobby is an effort to save old technology with the use of new. A proud Newfoundlander, Larry has an intrinsic appreciation for the rugged beauty of his home province and the Maritimes. Enthralled with the visual perspectives and potentials of quadcopter video capture, he began operating drones in March 2015. Larry has used a drone to capture video in Newfoundland & Labrador, Nova Scotia, Alberta, Florida and Hawaii. Since June 2015, his video footage has been obtained with the use of a DJI Phantom 3 Advanced, though he still operates other UAVs for fun. 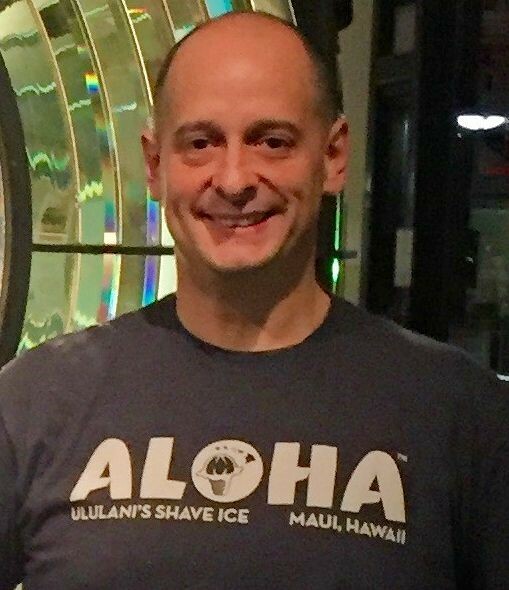 With the exception of audio recording, all video post-production tasks are completed by Larry, who is exceedingly passionate about producing quality visual art. A born and raised Nova Scotian, Cory is extremely proud of his province, and hence is focused on capturing its landscapes and lighthouses for others to appreciate. During the drone flights, Cory maintains constant visual presence of the quadcopter while also providing navigational advice. For video post-production, he either composes new music or records instrumental versions of original songs from “Saxby’s Gale”, a Celtic-punk band in which both he and Larry perform. A musician since high school, Cory plays guitar, mandolin, bass and some percussive instruments.